The English Oxford Dictionary tells us that Perception is “The ability to see, hear, or become aware of something through the senses”. 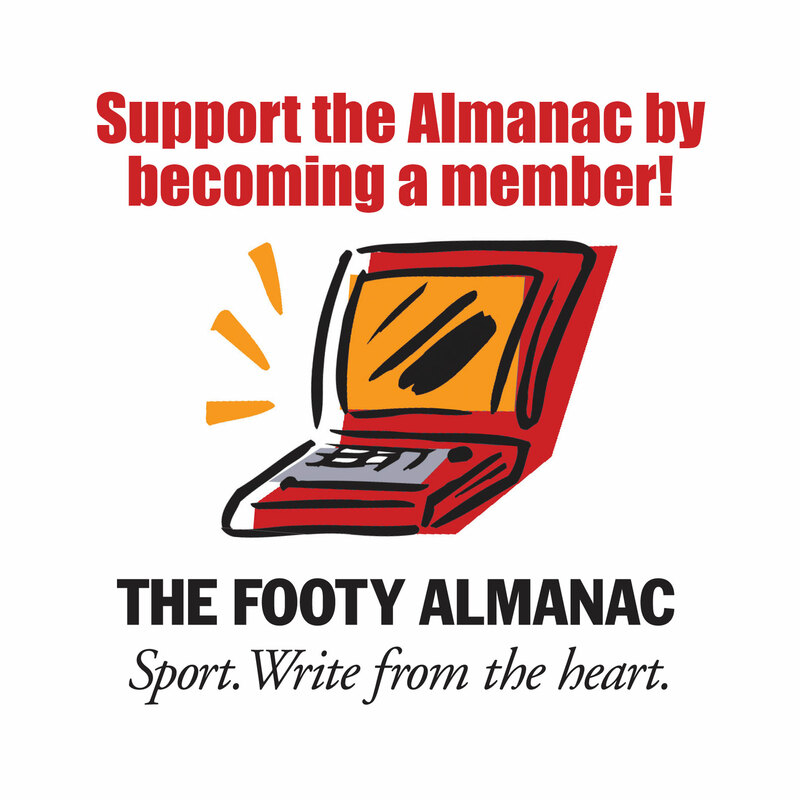 It dawned on me this morning, when I woke at 4.30 and went straight to my computer and onto Footy Almanac, that we spend so much of our time corresponding with people we’ve never met. Take this site, for instance. I’ve met John twice, Yvette once, and a very quick hello to Luke. That’s it. Sure, I’ve met some of the Swans people, namely Mathilde, Keiran, Tom, Dave Parker, and diehard fellow Swan Ross Treverton, but I’m left wondering how to complete the small image of the faces that appear when views are expressed. The conversations we have with people on the phone – people we will never meet, people we form an opinion about by the tone of their voice, the use of their language, the way they react to what they conceive as criticism, or otherwise – it’s all left to our perception. And my perception is all–encompassing! I can’t count the number of times I’ve bashed the phone down (yes, I still have a landline) after talking to the hundreds I’ve made contact with who have annoyed the hell out of me. The expletives pour forth and a physical image is formed – an image of “ugliness” in all its manifestations. Conversely, the happy conversations leave me with serene and “beautiful” images. Remembering back to the 80s, when I was with Marshall on one of his university sabbaticals in the States for six months, I spoke daily on the phone with a supervisor at a Community Centre in Berkeley, where I was volunteering. We formed a friendship. This woman was kind, considerate and intelligent. She listened and she responded well to my feedback. I hope I did the same. For six months, five days a week, our lives intertwined. I knew her well, and presumably it was reciprocal. But we never met. I conjured up all sorts of images: her age, her body shape, the colour of her hair, and especially her face – that all–important feature that gives us our first impression. But I could never complete the image. I’ve often thought about that woman, and I often think about the people I’ve had dealings with but never actually met or seen, and one of the first things that comes to mind is the use of our eyes – or the exact opposite. I cannot speak on behalf of a visually impaired person, but can only imagine that her or his life is spent forming images of a different kind – images I, perhaps, wouldn’t understand, but would hope give some real type of perception of others. Fortunately, my eyes are fine at the moment, so I will just have to leave it up to the other senses to create an image of all you Almanakers I’m yet to meet. Maybe, when I finally move back to Melbourne I will be able to complete my image, and perception will no longer be required. What an intriguing concept Jan. What brought it about? Insightful indeed. Knowing someone is multi faceted. Many times I have imagined the physical characteristics of a person with whom I’ve only had phone contact – it can be a shock to compare the reality with the imagination. Jan i’ve been involved in community radio for many decades. As you’d note my photo is not on the Almanac website. I have a face for radio. Jan, hope to see you at a lunch or two in 2019. One of the best things about Footy Almanac lunches is putting faces to the names from the internet and mixing with the great crew involved here.